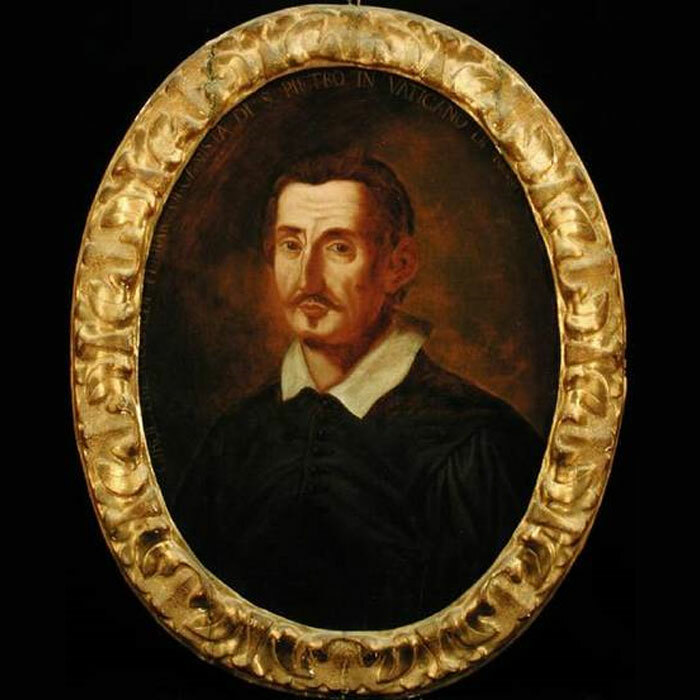 Born in 1583, Girolamo Frescobaldi would grow up to be one of the most famous representatives of the early Italian Baroque. He was known for expressive and extravagant improvising and composition. In 1608, he took the organist post of St. Peter's in Rome. Although he held this highly-regarded job that won him many patrons, the pay was never more than a small fraction of his income. He obsessively edited his own work, to the point where many of his major works were changed several times, and some added or dropped in different versions of the same publication! One can't call these changes superfluous, though, as they often help the flow in the various parts. His prowess at the keyboard was balanced by an obvious lack of formal education to the point that it was actually suggested that he did not understand his own lyrics and indeed that his own rough drafts were incoherent. Any lack of education he had was definitely accounted for by the innate harmonic and rhythmic sense which defines his work. His playing technique involved frequent changes of pace and dynamic, and a careful attention to the smallest nuances is imperative to appreciating the flow in his music.